Yeah, its a really nice watch on the wrist. The most comfortable big diver I have ever worn. A great case and highly readable dial. The date starts to change at 8:30?? Russian watches should just ditch the date and they might not be half bad. I like the looks, but the second hand is choppy as hell and the finish looks a little cheap. foghorn wrote: The date starts to change at 8:30?? 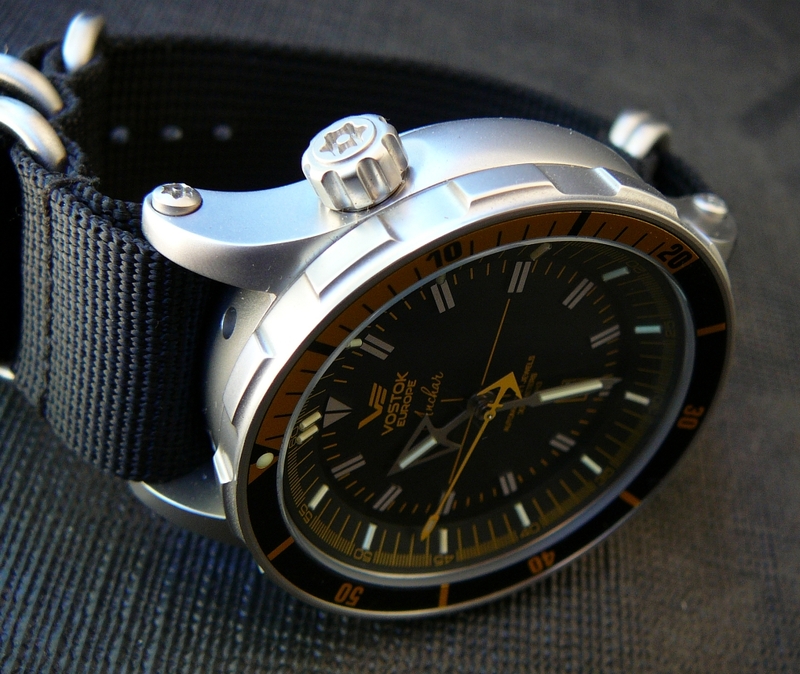 Russian watches should just ditch the date and they might not be half bad. I think they use the Seiko movement in this one. 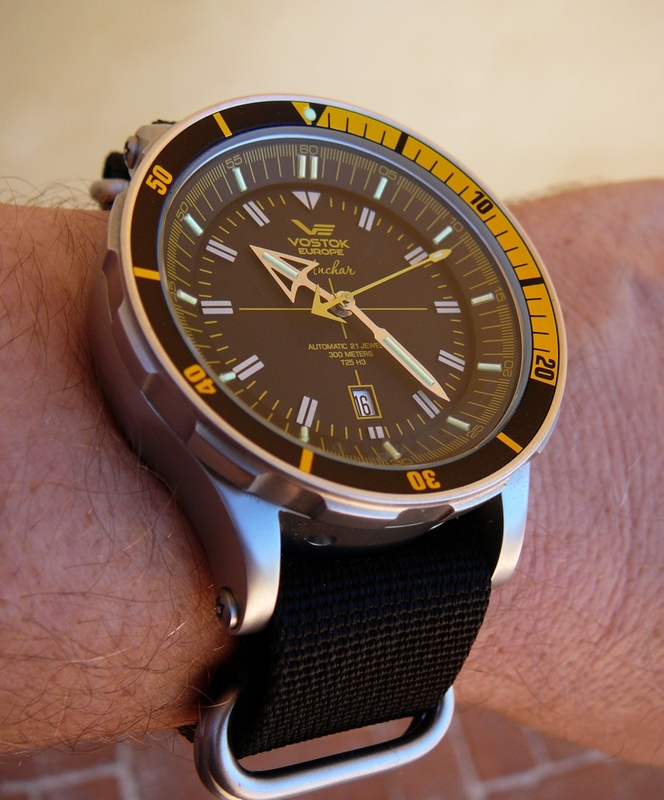 It had a low-end Seiko calibre that worked well...though I'm not a movement timing kind of guy. The second hand wasn't choppy...though it wasn't ETA smooth either. The bezel and crown were really good. The finish on the hands was basic. Not a bad watch at all. But look at the date window in Kois post. They even managed to screw up a Seiko date mechanism. Rushians hayte dates!! Or it's those damned Lithuanians fault. Not only are dates the equivalent of the Ars Diaboli to them, they have difficulty with even the most basic observations as well - thus the nearly ubiquitous addition (regrettably not in this case) of those ridiculous day/night indicators.